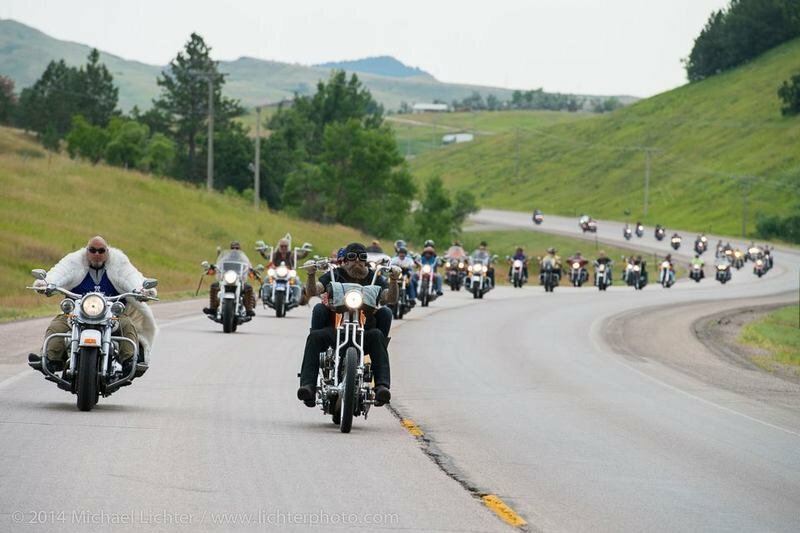 The 75th Black Hills Motor Classic is fast approaching, and it is shaping up to be a rather special event this year. While Harley Davidson has long been a fixture at Sturgis, they have never been the “Official Bike” of this event — which originated at an Indian Motorcycle dealership – until now. The bike builders from Milwaukee got themselves named the “Official Bike” of the event, and they are wasting no time in making sure everybody knows it! H-D plans on even more Harley-centric activities and vendors than ever before, with gear, accessory and motorcycle displays — complete with test rides — scheduled for the event. The H-D museum makes a return with the addition of the Harleywood bikes – machines made famous by appearances in Captain America, Avengers: Age of Ultron and Sons of Anarchy – which adds a nice, pop-culture spice to the historical collection. Speaking of pop culture, UFC fighters Mike Chiesa and Ricardo Lamas (what? No Ronda Rousey?!) will make appearances at meet-and-greets, complete with autograph and photograph opportunities for the fans. The full list of events is too exhaustive to go into in great detail. Suffice to say that H-D is taking full advantage of its new status as “King of Sturgis,” and there will be plenty of food and entertainment for all. Lodging is another story. Let me put it this way; it may not be too late to book a room for 2016 – maybe. If you are lucky enough to have secured your sleeping (read: hot shower and cold a/c) arrangements already, then enjoy this historical event for the rest of us. This is Harley-Davidson’s first year as the official brand, and even though it has long been the de facto unofficial brand, they’ll enter 2015 into the history books as a new era, at least as far as the Sturgis Rally is concerned. I wonder about the timing, though. Did H-D decide to secure this status simply because it was time, or is the market pressure from Polaris-owned Indian Motorcycles making Harley a little kennel-proud? Whatever the reason, it is no surprise that Harley is engaged in a well-planned, full-court press focused on the Black Hills, and it will be interesting to see what all they do with it.